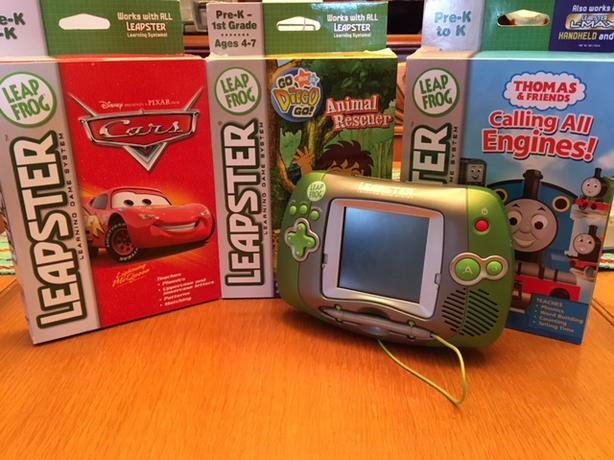 (Near) Mint condition Gen 1 2003 Leapster system. Comes with three games, shown in the photos below. Game cartridges are packed in original boxes, with original manuals. Requires 4x AA batteries. Loved this thing when I was little! Now that I'm older, I've moved on to higher things in the world of retro and modern gaming. :-) Makes a great educational gift!